Morton County, ND – Early on Saturday, October 22nd, water protectors from the camps near the Standing Rock Sioux Reservation blockaded roads by locking themselves to cars and set out on foot to confront construction that threatens to destroy more sacred burial sites. Unicorn Riot was on the ground documenting and providing live streaming coverage. A total of 127 people were arrested in relation to Saturday’s events, including a Unicorn Riot journalist. Below is video shot before the mass arrests, showing heavily armed police macing the crowd of peaceful water protectors. More video from the arrests is seen at the bottom of this post, in order of the morning events. Today’s arrest of a Unicorn Riot journalist marks the fifth time one of our journalists has been targeted and arrested for documenting actions around #NoDAPL. Dakota Access Pipeline construction has continued with construction despite the September 9 request from the federal government to suspend construction within 20 miles east and west of Lake Oahe. 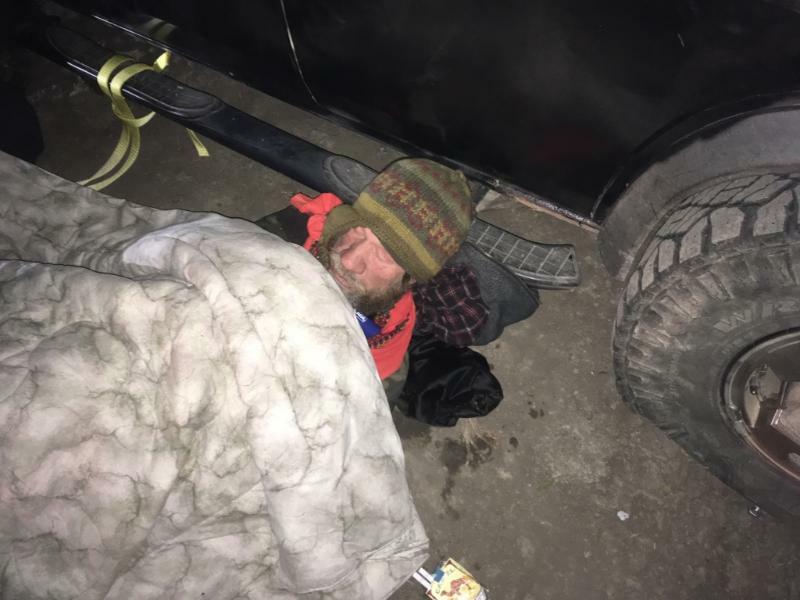 In a location separate from the mass arrests, images shared by police show water protectors locked down to a car before the sun rose, which seems to have been left inoperable in order to block a Dakota Access work site. Water Protector locked down to car blocking pipeline workers access to site. 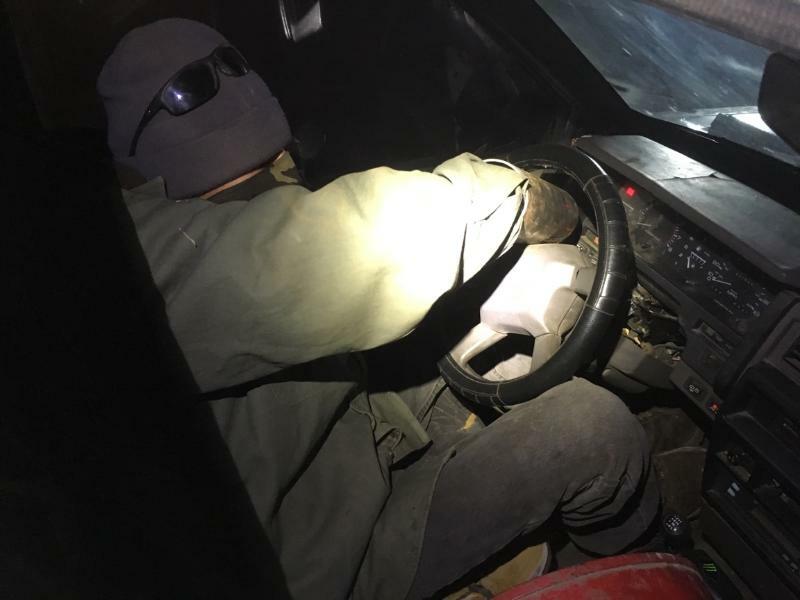 Water Protector locked down to steering wheel of a vehicle blocking pipeline workers’ access to site. Later in the morning, as water protectors neared the area, dozens of riot police were guarding the construction site, which is about five miles away from the encampments. Private security vehicles were observed backing up as the water protectors approached the construction site. DAPL security guards were watching from hill as water protectors marched towards the burial grounds close to ongoing construction. Pipeline construction has very recently moved two miles closer to the Standing Rock reservation. As water protectors neared the DAPL construction site, riot police were observed lining up at a fence while a helicopter circled low overhead. Around 10:30 a.m. CDT, water protectors were being kettled by riot police, including Unicorn Riot journalist Lorenzo. Approximately half of the original group was arrested. There were reports coming from those arrested that police maced the crowd and violently detained people. As the group of water protectors and journalist was kettled, a police officer with a large red canister of mace is seen in the video below spraying people after yelling “you’re all under arrest“. Another video from the mass arrest show the police making violent take-downs of peaceful water protectors and arresting them. In a press release, the Morton County Sheriff claims that a water protector allegedly grabbed a can of pepper spray off an officer’s belt and maced the officer in the face, forcing officers to mace the crowd. We have reviewed footage taken at the scene and spoken with many eyewitnesses, including our own reporter, and have yet to find any information to verify this claim by the Sheriff. We spoke over the phone with Morton County Sheriff Public Information Officer Donnell Preskey and asked if any photo or video evidence exists to support the claim that a water protector stole mace from law enforcement and maced and officer. Preskey cited “officers’ reports” as evidence, and when asked for photo/video proof she replied “we’re not on the scene taking videos of what happened.” Eyewitnesses including our reporter who was present say they remember several law enforcement cameras being active around the time of this alleged incident. Below is the livestream of some of the action.